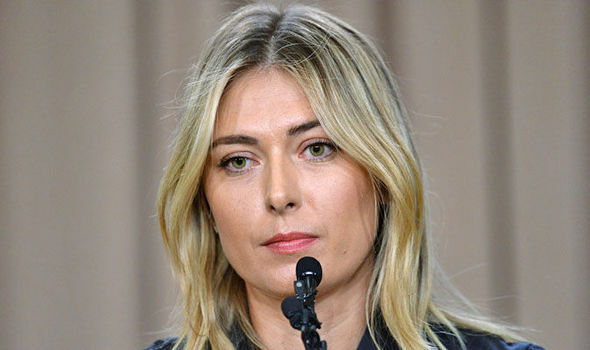 MARIA SHARAPOVA’S lawyer launched a verbal broadside at WADA yesterday after the anti-drugs officials admitted they were unsure how long meldonium remained in an athlete’s system. “Legitimate questions have been raised,” said John Haggerty on behalf of his client, who was provisionally suspended early last month after admitting she had been taking the cardiac drug for 10 years for legitimate medical reasons. Meldonium was added to the banned list on January 1; Sharapova tested positive 26 days later. More than 170 other athletes, many of them Russian, have also tested positive. But studies are being conducted into the renal elimination of the drug and WADA has issued new guidelines which could see some athletes cleared. The latest research says “long-term urinary excretions…can persist for a number of weeks and [trace elements] for a few months”. But Haggerty’s vitriol has all the feeling of a smokescreen. Sharapova’s bombshell statement clearly suggests she took the drug after the turn of the year. “The rules changed…I did not know…I made a huge mistake,” she said. And it is her desire as one of the world’s most high-profile athletes to ‘control’ the story, and the media reporting it, that could prove her downfall. Before Sharapova stepped up to the microphone in a Los Angeles hotel on March 7, no one had a sniff of an impending drugs scandal. Many believed they would be witnessing her retirement. But in her rush to set the tone of the coverage, Sharapova has admitted to an offence when, had she remained silent – and her name would not have been attached to a positive result until a second sample had been tested – she could now have found herself with wriggle room. So Heggarty’s attack on WADA may have merit – how “poorly” the whole issue has been handled, for instance – but the same epithet could be used for the way Sharapova and her team handled her medications, having missed several warnings about its impending illegality. And the fact that his client has already held her hands up means he is likely only to be arguing about sentence, not verdict.